When you select a name that requires an apostrophe, such as O’Shea, from the drop down menu, you will notice that the apostrophe has been omitted. 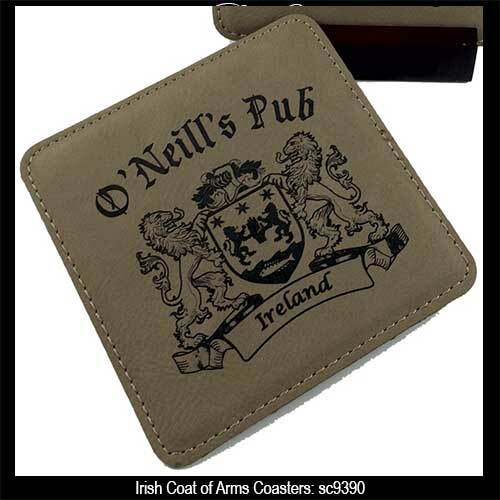 Do not worry; the selected name will be spelled correctly on the Irish coat of arms coasters with the apostrophe included when required. 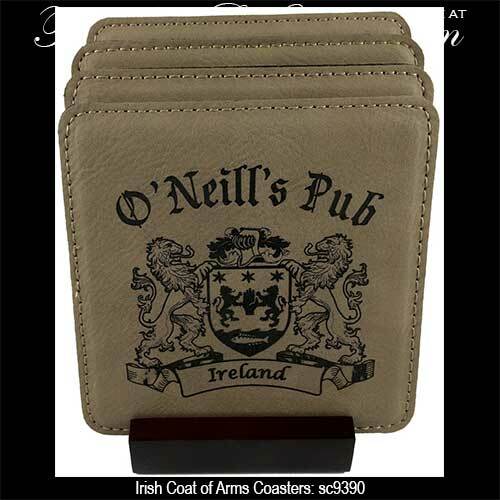 This Irish coat of arms coaster set is permanently laser engraved with the surname along with the coat of arms image and it is enhanced with you as the pub owner. 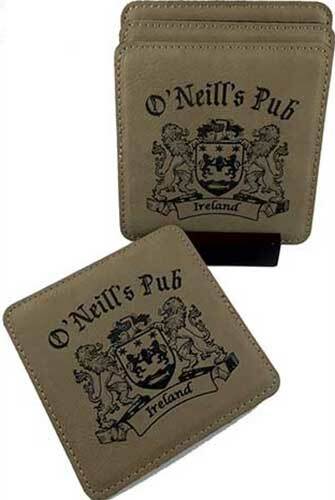 These Irish coasters with no slip backings are made of light brown faux leather and measure 4" x 4" square. The set includes a wooden display stand that has a dark cherry finish. The coat of arms coaster set is a special order item that ships directly from our supplier; please allow 2 weeks for delivery. Irish coasters feature shamrocks and Celtic knots. The matching coaster holder is enhanced with a Celtic knot motif.